In what types of job positions can a student work with this Master? 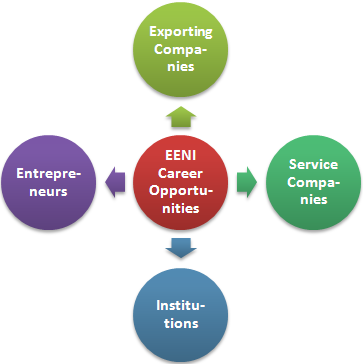 For example, in the export department of export companies, in service companies (logistics department, banking, consulting companies), public and private institutions such as chambers of commerce, business associations, multilateral organisations and as an entrepreneur, creating one's business. Export Managers (Export Directors, International Division Director) of export companies (or Import-Export potential) or import companies. Commercial Directors, Sales, and Marketing Directors (domestic market) wishing to begin international business activities. 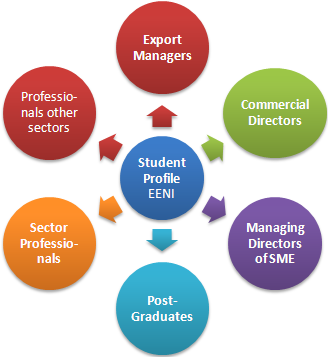 Postgraduates (business administration, economics, engineers, lawyers, and translators) seeking a international trade specialisation and global marketing. 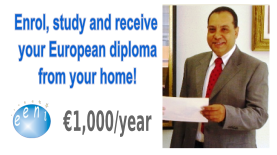 Professionals from other sectors that want to specialise in the global business. Personal projects (entrepreneurs) offering consulting services related to international trade, Business Agent, Import/Export agents, brokers or creating one's company specialising in Import/Export and International Marketing.